Mile To Marathon has several options to offer customized training solutions for you based on your needs, wants and goals. All options utilize the Addaero website as a distribution tool for your workouts and as your personal training log. 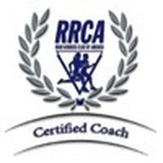 Personalized training program based on you goals provided by you on the running questionnaire. Personalized training program utilizing the Addaero website. Personal training log provided by Addaero. Coach paid. Unlimited access to me via in person, phone/text or email...Priceless! Weekly emails covering various training subjects. Goal Race pre-planning meeting/phone call to discuss strategy. Access to Mile To Marathon gear. Skype sessions possible upon request. SILVER - Great choice if you are local to Mpls/St. Paul area and are looking to train with a team. Includes a 1 hour in person consultation to go over the running questionnaire and to cover all training questions you might have. $ 50.00 value. A video gait analysis and then 1 additional follow up in 12 weeks. Copy will be emailed to you for your records upon request. $75.00 value. Mile To Marathon Training Tech T-Shirt. $25.00 value. Full personalized training program utilizing the Addaero website. Unlimited access to Coach Ron, in person, phone/text or email...Priceless! Goal Race pre-planning meeting to discuss strategy. $50.00 value. Mile To Marathon Running Club 1 year complimentary membership. $40.00 value. 2 weekly coach led group workouts on Tuesday and Saturdays. Access to team scheduled runs 6-7 days a week. GOLD - Looking for that little extra personal attention but still want to the option to run with a group and are local to Mpls/St. Paul area? This option includes ONE weekly 1-on-1 personal training session with Coach Ron. Includes one weekly personal one on one coaching session. Water/SkratchLabs hydration drinks provided after each weekly one on one training session. Includes an initial 1 hour in person consultation to go over the running questionnaire and to cover all training questions you might have. $ 50.00 value. Mile To Marathon Training Tech T Shirt. $25.00 value. For more information and pricing regarding any of the customized training programs, please email me. If you're interested in a personalized 12 or 16 week training plan, I can certainly provide one for you based specifically on the race you choose and your goals. It could be your first 5k race or for that marathon you've always wanted to run. Those personalized training plans will be based on a phone consultation discussing what your current fitness level is and what your goals are for that race. These training programs will include very specific workouts to do on certain days of the week, suggested paces to follow for each workout based on your goal time as well as suggested days off. Price per personalized training plan will be $125, payable after the consultation to make sure this program will be right for you and will get you to the goals you are looking for. WAIVER. I understand that running is a potentially dangerous activity. I do hereby waive and release any and all claims for damages that I may incur as a result of my participation against all members, coaches, officers, board members, members, sponsors, or volunteers of Mile To Marathon LLC. 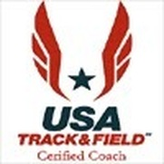 I further certify that I have full knowledge of the risks involved in running and that I am physically fit to begin a running training program.